Child development generally refers to the time period between birth and the end of adolescence. This time period is markedly different from any other stage of human development for it encompasses tremendous biological, psychological, social and emotional changes. These developmental changes represent a progression from dependency towards increasing independence, and are marked by the achievement of developmental milestones. Language: Expressing needs, wants and thoughts, using body language and gestures, understanding what others say/sign and expressing complex and abstract thought. 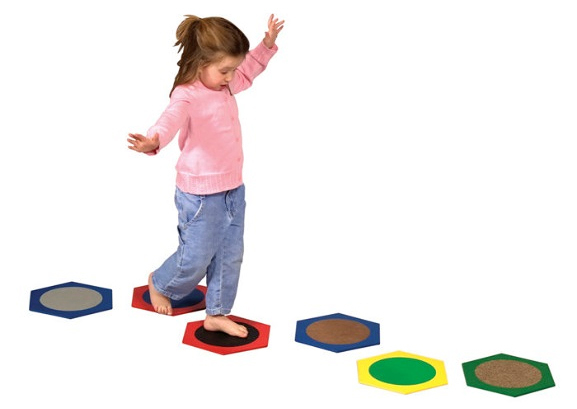 Movement and muscle coordination: Using the body’s large muscles (sitting, standing, walking, running, keeping balance, and changing positions) as well as small muscles (eating, drawing, playing, dressing, colouring) and developing hand-eye coordination. Play and social: Having relationships with others, cooperating, and responding to the feelings of others. Thinking and reasoning: Learning, understanding, problem-solving and remembering. Language is a very important key to success in the development of mental health of children who are Deaf/deaf or hard of hearing. The first three years of life are a period of incredible growth in all areas of a baby’s development. Babies’ primary attachment is to their parents and these relationships are the foundation upon which babies build their knowledge of the world. All babies and toddlers need positive early learning experiences to foster their intellectual, language, social and emotional development and lay the foundation for later success. Every year in Ontario, approximately four in 1,000 babies are born Deaf/deaf or hard of hearing. In addition, some infants or children will lose their hearing in the early years due to infections, high fevers, trauma, and genetic disorders. Many of these children may need to learn speech and language differently, so it is important to detect a hearing loss as early as possible. Early identification also provides parents with support and information which allows them to educate themselves regarding their child’s needs. It is helpful for parents to meet with professionals, and other families with children who are Deaf/deaf or hard of hearing, who have travelled the same journey. One of the most crucial decisions parents will make at this time is how their children will develop language. Identifying a hearing loss early ensures that children can get the help they need and the chance to develop language skills comparable to children with typical hearing. How do we parent her? How will his brother and sister play with him? How will we know what to do? A baby who has been identified with a hearing loss is a baby like any other. Babies need love, care, and nurturing in order to develop secure attachments. A secure attachment between a baby and their parent leads to the healthy development of emotions, as well as a better understanding of relationships later in life. Communicating with their child is one of the most important things parents can do. This, however, can be one of the most difficult challenges facing children who are Deaf/deaf or hard of hearing. Whatever mode of communication parents decide for their baby, spoken or sign language, or what kind of amplification (hearing aids, cochlear implants) is decided, it is very important that the baby learns language from an early age. When a baby is born (and even while still in utero), a very specific area of the brain is ready to learn and use language. This highly specialized part of the brain does not particularly care which language is used - it just wants language. Cognition (or intelligence) is multi-faceted involving a combination of different language and non-language aspects: perception, memory, mental imagery, concept formation, problem solving, language learning, academic achievement, and navigating everyday life. Intelligence depends on the interaction between a child’s innate capacity (i.e. what they are born with) and their environmental experiences. The human brain is remarkably flexible in that it works to capacity. It also tends to follow the maxim “use it or lose it” in terms of both structure and function. Children who are Deaf/deaf and hard of hearing have the capacity to reach the same cognitive and developmental milestones as typically developing children with typical hearing. As with children who have typical hearing, some children who are Deaf/deaf and hard of hearing may be intellectually gifted and some may be developmentally delayed. There is also the possibility that a Deaf/deaf or hard of hearing child may experience cognitive delays. Delays can be the result of something genetic that impacts the child’s cognitive abilities (which may occur with certain etiologies, (i.e. causes of being deaf) or can be due to environmental conditions. It can be difficult to determine the intellectual level of children who are Deaf/deaf and hard of hearing in part because most intelligence tests used to measure cognitive abilities are not designed for children who are Deaf/deaf or hard of hearing. Professionals administering these tests with this population of children should have extensive experience with students who are Deaf/deaf and hard of hearing who use spoken language and/or signed language and are able to accommodate their needs. Infancy 0 – 1 yr. Early childhood 1 – 3 yrs. Play age 3 – 6 yrs. School age 6 – 12 yrs. Adolescence 12 – 19 yrs. Healthy social and emotional development will provide the child with a solid sense of self and strong inner security. Therefore, it is important for parents and educators to attend to this process of development to support a successful outcome. 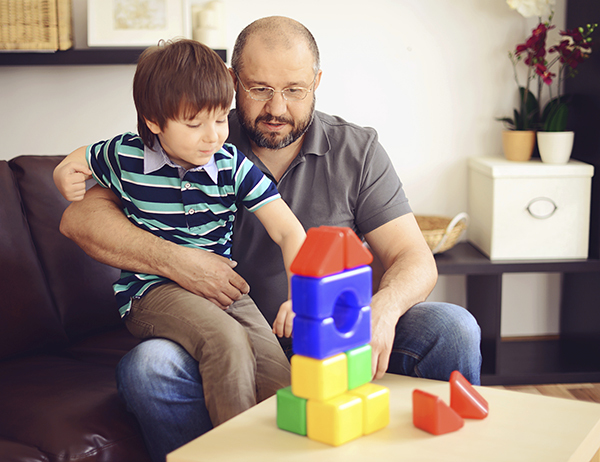 Reflection on Erikson’s developmental tasks and the parents’ role in the child’s achievements emphasizes again the importance of meaningful and clear communication between parent and child.